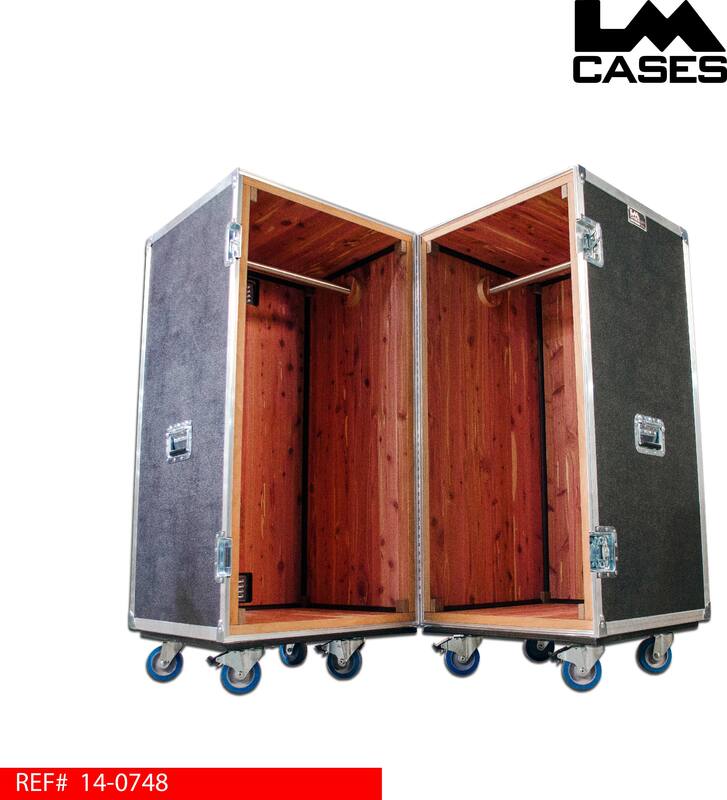 This case is designed with the transportation of suit jackets in mind. The case features a Cedar wood lined interior with Cherry corner accents to provide an elegant way of transporting clothing from event to event. Each section of the case features a bronze color hanging bar to hold 20 hanging jackets per side for a total of 40 jackets. The case exterior is built out of 3/8" plywood laminated with your choice of ABS colors. The exterior features 8 deep recessed handles, 8 - 4" Colson casters (4 are locking) and a pad lockable hasp latch.